WE DON’T JUST MANUFACTURE MILITARY SURPLUS. WE CAN ALSO MANUFACTURE YOUR CUSTOM PRODUCT WITH OUR DYNAMIC PRODUCT DEVELOPMENT TEAM! Every dimension and characteristic on your creation is important. It is essential to have a design to bring your creation to life, and our design team can do just that. If you have an idea but don’t have a sketch or a drawing, let us do the work for you. Your creation has a purpose. Once we have an approved design, we can bring your creation to life by prototyping it through methods such as 3D printing and CNC machining. Creating a Prototype allows you to physically subject your creation to real life applications such as fit and function. Once you have approved your creation’s fit and function through prototyping, we can begin to design your mold for product development. Our team of mold designers use cutting edge methods to accurately and precisely design and build a mold that fits your creation’s production demands. 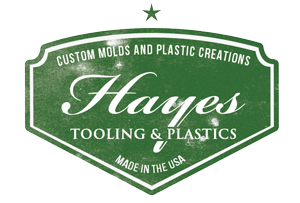 Once your mold is built, we will produce your creation using methods such as Plastic Injection Molding and Plastic Blow Molding. Once you have approved of your part, we will begin to produce your creation on a mass scale. Your creation is important to us. We are dedicated to a quality process from sketch to final part. Our goal is to provide you with a product that has the quality characteristics you expect out of your creation. Do you have a custom design idea? Please email any information pertaining to your product or design. Be prepared to provide CAD files if you have them. If you don’t already have CAD files, don’t worry, we can help with that too! We will review your email and contact you to further discuss your designs/product ideas.